Whether you need to transcribe an audio/video file, or you have a scanned PDF or image file that’s not quite up to automatic OCR standards, Fluency’s Transcription Tool can help you get your document translation ready in no time. First, click on the Tools menu, then click on Transcription/OCR. 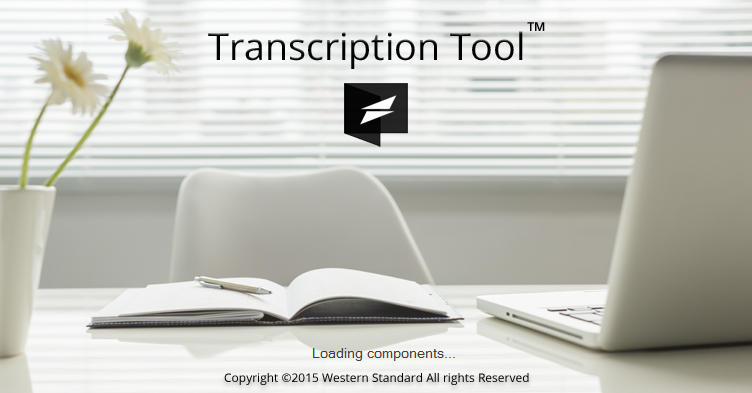 This will launch Fluency’s Transcription tool. 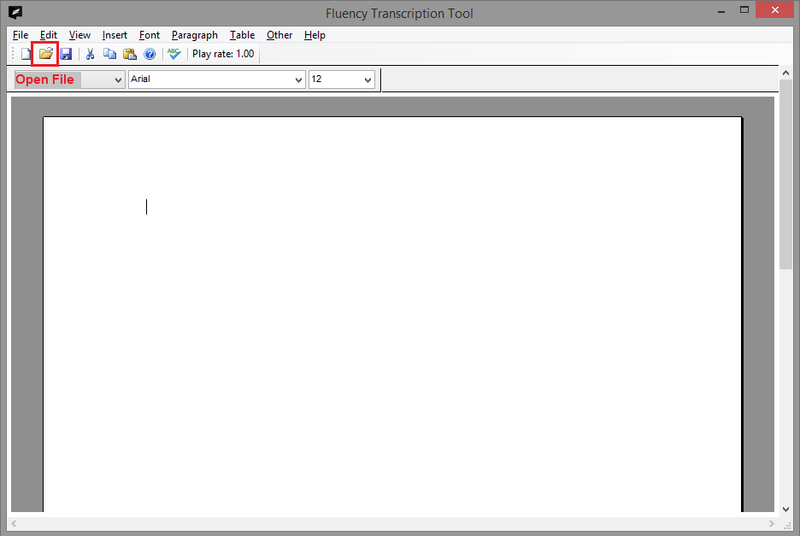 You will now see the main Transcription Tool screen. To get started, click the Open button at the top, indicated by a yellow folder icon. Now locate and open the file for transcription. 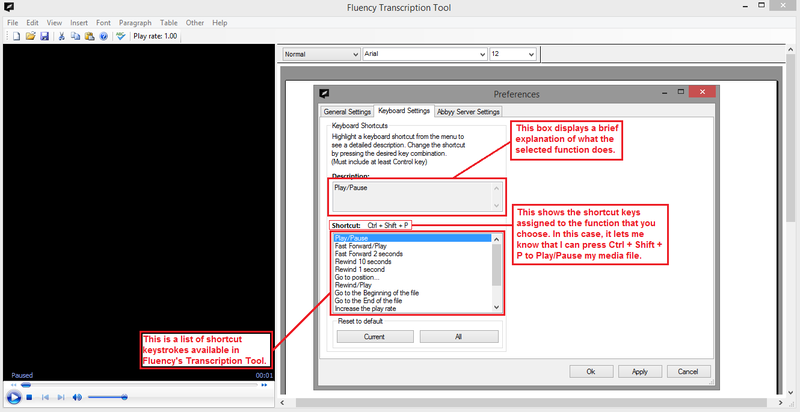 Listen to or view your media in the player on the left while entering the transcribed text in the blank document on the right. 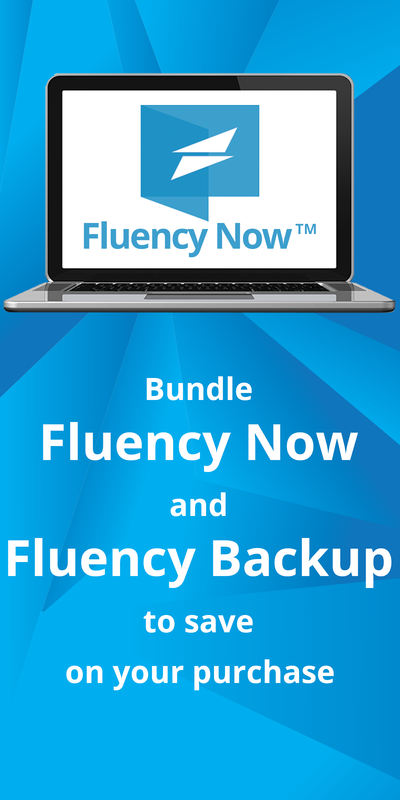 Fluency offers a number of shortcut functions to help speed up your transcription job. Each function in the Keyboard Shortcuts menu can be re-assigned for maximum customization. 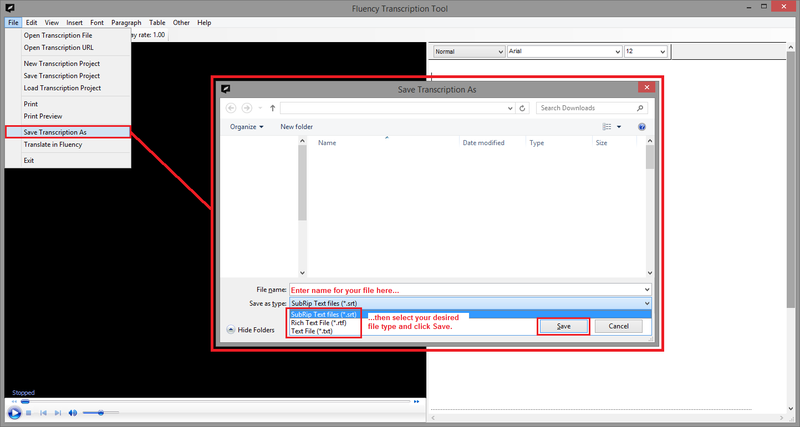 Once you’ve completely transcribed the file, you’ll have the option to either save to an external format (srt, rtf, txt), or translate it directly in Fluency. 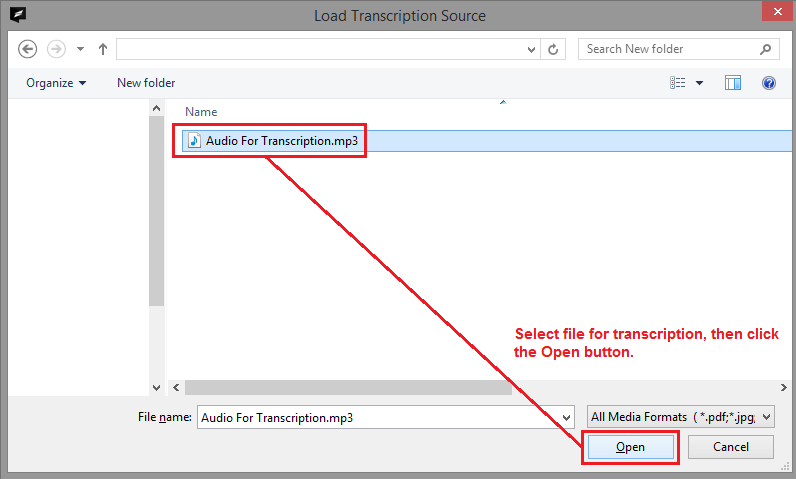 To save the file out, click on File > Save Transcription As, name the file and click Save. 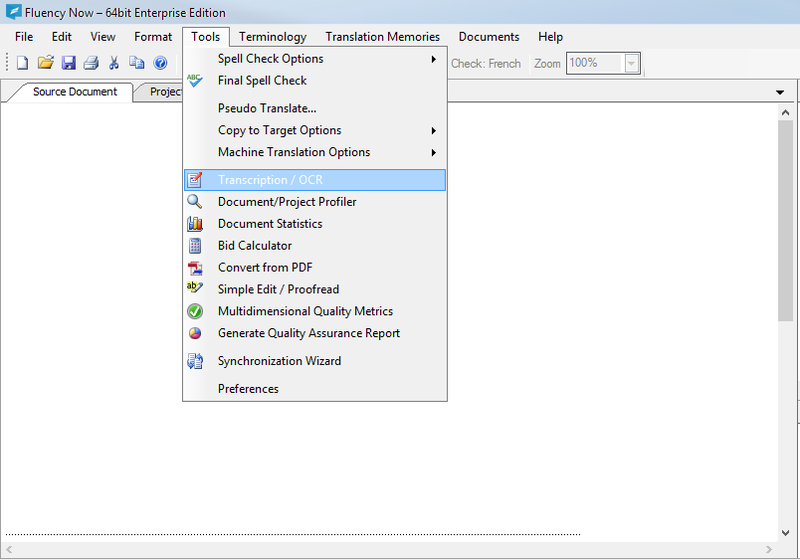 To translate the newly transcribed document, click on File > Translate in Fluency. A new window will appear asking you to assign source/target languages and locales, Domain, and Client. You can allow Fluency to translate using your translation memory matches, or machine translate using a number of the most popular machine translation services. Once you’ve filled out all necessary fields, click OK to begin translating.